Jerusalem’s population is at once local and international, and its cuisine reflects both. 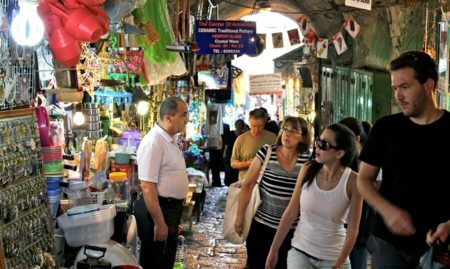 Be it kubeh or matzah balls, burekas or burgers (meat or tofu, for either), sushi or Thai food, salads or “salatim”, you have an array of food choices in Jerusalem. A comprehensive list of restaurants in Jerusalem can be found here. 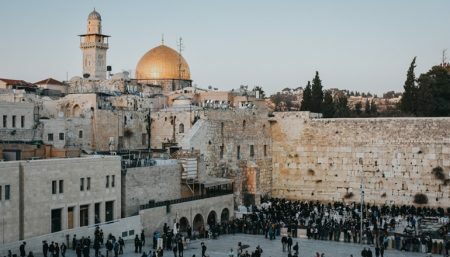 Even the locals can be considered international since many Jerusalem residents immigrated from all over the world, opening up restaurants reflecting their native countries and/or world travels. But which Jerusalem restaurants are truly particular to this city? If there is one cuisine that is in relatively short supply in Jerusalem, it’s Asian cuisine. 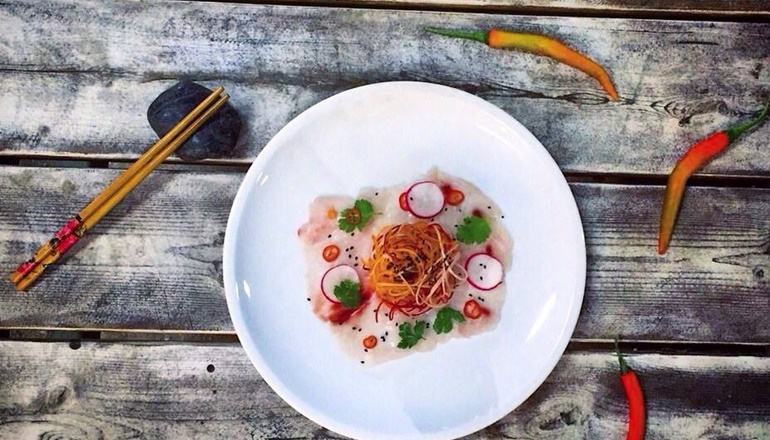 Thankfully, Station 9 fills that void with a vengeance, offering a unique style that blends the traditional cuisines of Thailand, China, Vietnam and others with influences from the Israeli kitchen. Some of the highlights include their crowd-pleasing Bau Baus — a fresh-steamed bun with chipotle aioli, cilantro and chili with your choice of peking duck, fish, ground beef patty or spare ribs — and mouthwatering spare ribs in a Japanese bbq sauce. In addition to an uber-fusion menu, you’ll also find a unique atmosphere and design that pays homage to Asian cultures, while also maintaining a modern, hip vibe. “Ima” in Hebrew means mother, and you can tell a mom’s behind this establishment. Opened in 1981, this Iraqi/Kurdish family-run restaurant is hearty food based on hearty traditions. Ima is famous for its meat dishes (from kubeh to steaks) and stuffed vegetables (stuffed squash, red peppers, onions and vine leaves), and you can complement your meat with one of their many selections of wines. And by the way, the ima who started the restaurant is over 70 years old, and still managing the staff. Jerusalem is home to many Moroccan immigrants, and the Darna Restaurant is an upscale way to enjoy authentic Moroccan cuisine. 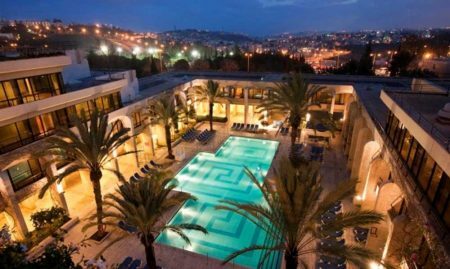 Not only will you get acquainted with the various meat dishes, you’ll be surrounded by Moroccan decore in the building and served by hosts dressed in a Moroccan style. Remember to check out the wine cellar downstairs. Located in the Russian Compound. Founded in 1967, prize-winning Café Kadosh exudes warmth via its food offerings and family-run atmosphere. With an on-site bakery, the service is as fresh as can be, and you might feel as if you’re sitting in the restaurant’s formidable living room with its classic European design. The menu spans the range of dairy/vegetarian dishes including salads, quiches, pastas, fish, and sandwiches, and many kinds of desserts, with everything baked and prepared on the premises. A vegetarian restaurant, Tmol Shilshom is famous for its literary bent, with poetry readings and related lectures held several times a month. Even if there’s no particular event scheduled, there are plenty of books on the shelves to devour along with their famous Amanda salad, velvet carrot soup, salmon, and cheesecake, to name a few. You might even be lucky to catch a seat in one of their antique plush den chairs. Its location is quaint, tucked away in an alley courtyard behind the bustling scene of Zion Square.